PAX brought with it a tasty bag of Ravnica spoilers, which held us over until today, when they begin in earnest. I suspect we’ll get another Planeswalker, or one of the banner mythics, as Rosewater typically gets to show those off. I’m not anticipating anything that’s going to send me to TCGPlayer to pick up Standard cards, as that’s a market that’s felt like a fool’s game for years now. Those possibilities exist, but the more likely result is that I go looking for Modern cards. Some new rare or mythic that turns on a long-forgotten Kamigawa rare for a two-card combo is basically the dream scenario in spoiler season. A spell that creates an infinite loop with One With Nothing? I’m in. 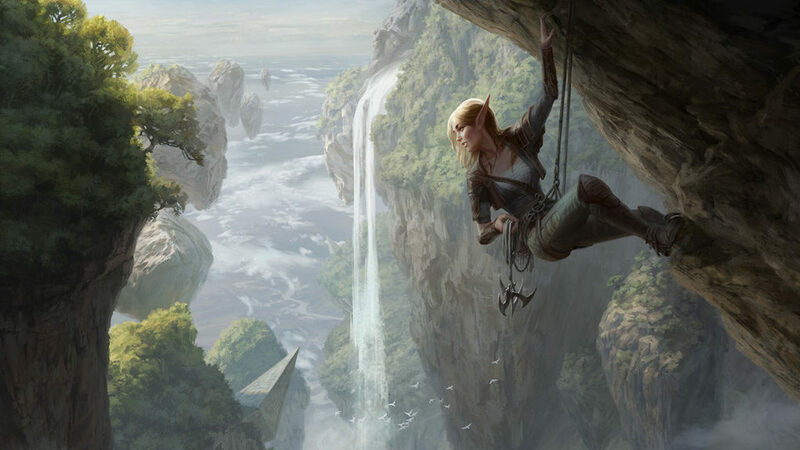 This year’s slate of Commander decks continues to provide opportunities for growth. They’re holding consistent popularity week after week, having pushed Atraxa out of the top slot for the longest period of time since she was released, I believe. They’re doing far better than the tribal decks from last year, that’s for sure. Of them, Lord Windgrace appears to be the most popular. Aminatou is close, but “lands matter” is just a theme too tempting for most. All the usual suspects are there — Gitrog Monster, Oracle of Mul Daya, Courser of Kruphix, Ramunap Excavator, etc. Joining the crew is relative newcomer World Shaper. World Shaper came to us in Rivals of Ixalan, so he’s only been around since January. That hasn’t slowed his adoption rate though. He’s up to nearly 2,000 EDHREC lists, which is a respectable number for a card that’s only been around a few months. More impressively is that his stock numbers are depleting rapidly. There’s a handful of foils on TCG right now, and other than that? Basically nada. A card that can easily return five to fifteen permanents from your graveyard to your battlefield at instant speed (assuming you have a sac outlet) is absurd in decks that can abuse it, and solidly reasonable everywhere else. Grab copies at $4 and $5 now before they’re over $10 in 2019. Long-time EDH players will remember Krosan Verge, a dumb land that lets you tutor for a forest and a plains, which most noteworthy did not need to be basic. Go find a Tropical Island and a Scrubland! Then get the Verge back and do it again! EDH is a great format. Blighted Woodland continues that tradition, just more reasonably. Krosan Verge foils cost about $30, if you can manage to find one. I see one hiding out at SCG right now, but TCG has none. Where you will find Krosan Verge is roughly 11,000 EHREC lists. Meanwhile, you’ll find Blighted Woodland in nearly 15,000 lists. Yep. Despite something like 8 reprints on Krosan Verge, Blighted Woodland has found its way into more lists. Wild. Of course, that raises the question of why a single-printed foil land in 15,000 lists is still $2. The obvious answer is “it shouldn’t be.” Plan accordingly. Remember about forty seconds ago, when you were reading about having an instant way to kill your World Shaper? Hey, look at that! A good instant-speed way to kill your World Shaper with no opportunity cost! In the same way that Blighted Woodland is a revisited and “fixed” Krosan Verge, Grim Backwoods is a revisited and I guess “adjusted” Miren, the Moaning Well. Sure, Greater Good gives you as many activations as you want for the same mana cost, and can also draw you a lot more cards depending on the creature, but that’s not the whole story. The rest of that story is that there is a boatload of enchantment destruction in EDH and it’s easy for Greater Good to get wiped out. It’s much less likely (although certainly not impossible, depending on how rude your playgroup is vis a vis Strip Mine and Crucible of Worlds) that your Grim Backwoods is going to get wiped out. Also, just run both. Grim Backwoods has a single foil printing, and like Blighted Woodland, has gotten several reprints — including in Lord Windgrace. If Krosan Verge tells us anything, it’s that Wizards will be happy to reprint utility lands like this until there’s no paper left on planet Earth, but they’re going to be non-foil every time. That leaves a humongous opportunity for grabbing cheap foils. This could see an honest to god ten times multiplier within several months to a year. Grim Backwoods is a card I had not put in my new Windgrace deck – seems reasonable. Tweaking it is going to be so rough to balance lands and minithemes/packages. I’m still unclear how many creatures actually go in this thing -I’m currently testing a meliraPod package with redcap as another win-con, but maybe it’s just bad?